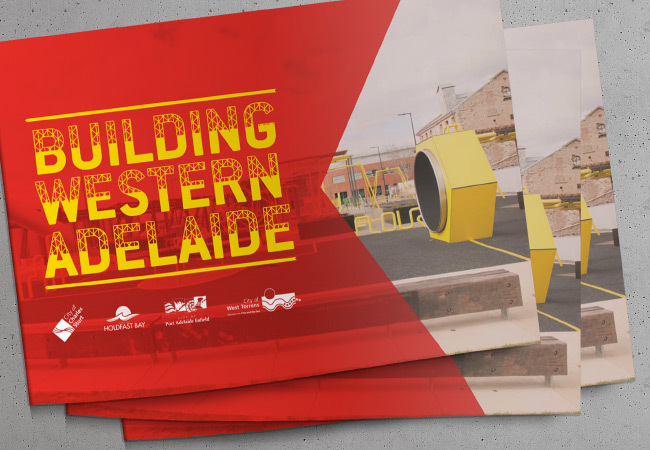 On behalf of our client City of Charles Sturt we designed a 44 page document which details significant projects occurring in the Western Region over the next 10 to 15 years. The aim was to use the document to advocate for State and Commonwealth Government funding and policy reform. 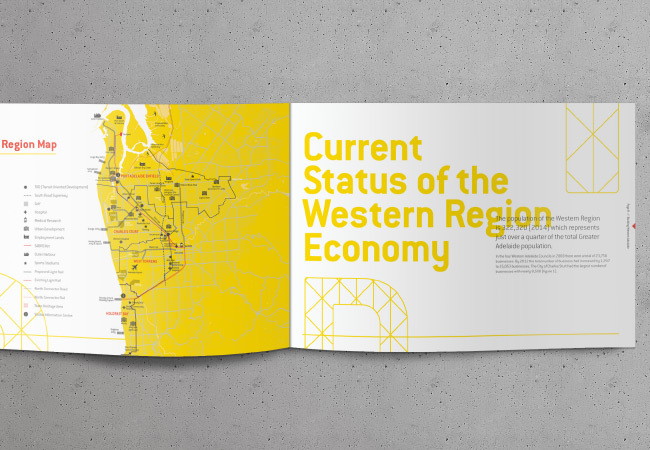 With themes of building and planning as inspiration for the design, we developed a custom typeface to use throughout the document, as well as a Western pointing arrow wherever possible.